Most marine fish enthusiasts have seen the stunning and adorable Bargibant’s Pygmy Seahorse. It’s vividly colored, an iconic photography subject, and the stuff of legends (that is to say, a fish that you can’t actually own). But did you know that there are now several more pygmy seahorses waiting to be described and presented? While you’re likely never going to see it at the local aquarium store, you can’t help but marvel at Hippocampus japapigu, the newly-described pygmy seahorse native to Japan. 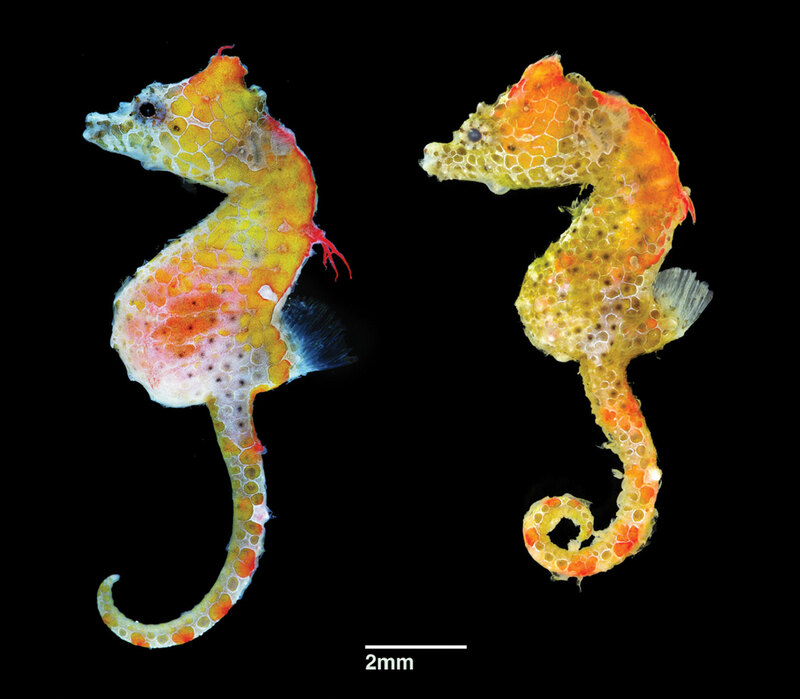 The species description, Hippocampus japapigu, a new species of pygmy seahorse from Japan, with a redescription of H. pontohi (Teleostei, Syngnathidae), was authored by Graham Short, Richard Smith, Hiroyuki Motomura, David Harasti, and Healy Hamilton, recently published as an open-access article in the Journal ZooKeys. With this description, Japan can now lay claim to having five of the seven described pygmy seahorse species residing in its waters. What Is a Pygmy Seahorse? Hippocampus japapigu joins the pygmy seahorse ranks, which also include H. colemani, H. pontohi, H. satomiae, and H. waleananus, along with the aforementioned H. bargibanti and its close ally, H. denise. But what exactly are pygmy seahorses? 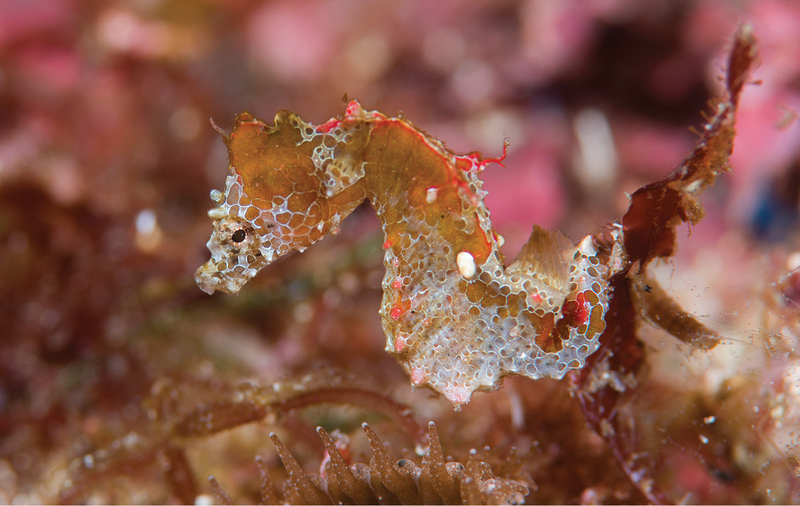 There are morphological differences that exist within the genus Hippocampus, and these come into play when it comes to defining a “pygmy” seahorse. Size comes to mind, of course: the authors give a range of 13.6–26 mm SL across the seven known species. The species in this group all have one fused gill slit, as opposed to larger seahorses which have one on each side of their head. Furthermore, the males brood their young on their body, as opposed to along the base of the tail. Given the distinct physical characteristics of the currently-known species, one has to wonder if the genus Hippocampus is due for some splitting up, but that’s a question best answered by the ichthyologists and taxonomists. Tell me more about H. japapigu! According to the authors, the fish had been known for quite some time, which shouldn’t really be a surprise to anyone who knows the prevalence of scientifically-undescribed species in the freshwater aquarium trade (I’m thinking cichlids, plecos, etc.). The species name, japapigu, is based on the local common name for the fish, “Japan Pig”. H. japapigu occurs in relatively shallow water, anecdotally at depths anywhere from 5 to 23 m (16-75 feet). It’s widespread, with reports from many subtropical Japanese islands, where water temperatures at collection sites ranged from 19–24C (66-75F). Given its cryptic coloration, the authors suspect it’s likely overlooked and probably occurs at many other locations in Japan, and perhaps beyond. Unlike the more widely-known Hippocampus bargibanti and H. denise, which are very specifically associated with host gorgonians, H. japapigu is like the majority of pygmy seahorses, found residing “in association with mixed soft coral, the coralline algae Halimeda sp., and hydroids on rocky reef walls and large boulders in both exposed and semi-sheltered locations,” per researchers. We encourage you to read the entire open-access species description of Hippocampus japupigu on ZooKeys to get all the nitty-gritty details, particularly if you’re a seahorse lover. You’ll also find a treasure trove of additional images which await you there. Why Can’t I Have One? 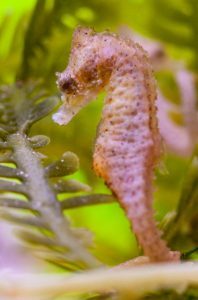 When Richard Ross and Matt Wandell bred Hippocampus bargibanti at the Steinhart Aquarium in 2014, there was a hopeful buzz of anticipation among some that maybe, just maybe, we’d see a pygmy seahorse enter the aquarium trade. However, this is extremely unlikely to occur, unless there’s a major legal change. CITES restrictions fully prohibit trade in seahorses under the length 10 cm (approximately 4 inches). Even if you stacked four pygmy seahorses on top of each other, you’d likely fail to meet the minimum height requirement for a seahorse to ride an airplane across the globe. Scientific exceptions can be made (which is how H. bargibanti was at Stienhart), but even then, public distribution of animals from academic and institutional settings are rare at best, and they face their own set of rules and restrictions, particularly with AZA-accredited institutions. So for now, the closest an aquarist will come to keeping a “pygmy” seahorse would be to try to obtain some captive-bred Florida Dwarf Seahorses, Hippocampus zosterae, which isn’t part of the Pygmy Seahorse subgroup in terms of morphology. Interestingly, it’s mostly only aquarists in the U.S. who have the luxury of keeping H. zosterae; those same pesky height restrictions keep the species largely out of the hands of international aquarists. This is no different than the dilemma we face when coveting the pygmy ponies!